ccessible format is must now. We provide conversion of various formats of files into different data formats. 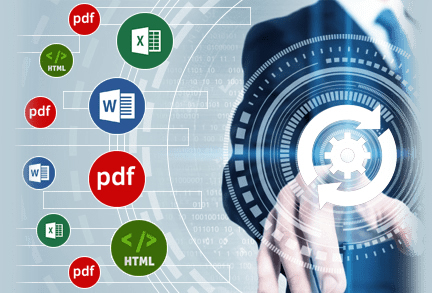 We have the expertise, capacity, resources, technology and experience to handle your most complex, time-critical and cost-sensitive digital conversion projects of large volumes of content: newspapers, books, journals and a variety of forms and other documents from print, electronic images etc. These include conversion of data across various databases on different platforms, conversion via input/output from different media, Data Conversion for databases, word processors, spreadsheets, and many other standard and custom-made software packages as per requirement and E-book conversion.